The One Direction singer appeared at the Burberry show and fellow guests couldn't fail to see the "chemistry" between himself and runway star Cara Delevingne. A source told the Daily Mirror newspaper: "Harry was smirking every time Cara came along the catwalk. "He kept looking away to avoid putting her off, but you could tell there was chemistry there - even from the audience." Harry, 18, was first romantically linked with the 20-year-old model - who he met through friends Pixie Geldof and DJ Nick Grimshaw - last month after being pictured leaving a party together in the early hours of the morning. 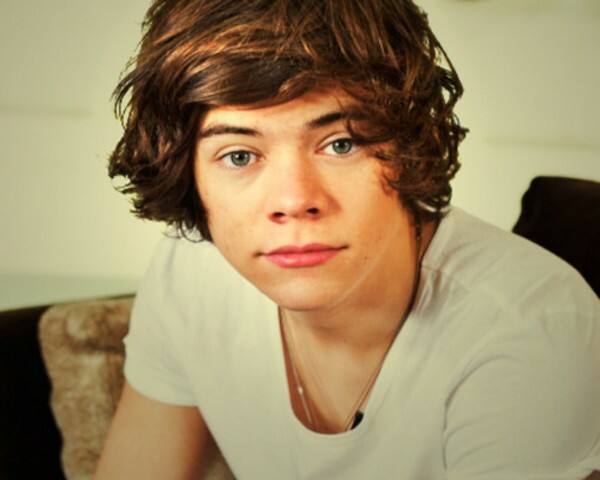 Though neither Harry or Cara have confirmed their romance, the brunette beauty has refused to comment on any speculation. She said last week: "I'm not going to answer that question." She then tweeted: "Please just stop guessing, you don't need to know." Cara's elder sister, 25-year-old Poppy Delavigne, has previously admitted to having a crush on the 'One Thing' singer. She has said: "I have a total crush on him. He walked past me and he looks like a little cherub."